Neel Lighting & Controls have successfully installed CSLs Acrobat collection of low-profile LEDs in several Santa Barbara residences. Acrobat exemplifies aesthetically pleasing, high performance, energy saving lighting while delivering light with high CRI scores and impressive degrees of warmth along the CCT spectrum. The Acrobat family of 1″, 2″, 3″, and 4″ LED collection of downlights from Creative Systems Lighting are small and adjustable. The unique copper-colored extruded aluminum heat sink minimizes LED temperatures for longer service life. Quality optics reflect and refract the light in four different beam spreads: spot, narrow, flood, and wide flood, while the optional accessories give you added control or diffusion. Available trimmed or trimless in 1-, 2-, 3- and 4-inch sizes. The downlights feature an integral input driver and 90 percent efficient, 0.99 power factor COB LEDs with a two-step binning process.50,000 hours at 70 percent lumen maintenance, multiple dimming options, four different CCTs (2700, 3000, 3500 and 4000K) field replaceable light engine and driver (L70). UL/C-UL listed for damp locations, and most trims are offered with an optional lens for wet locations. The extruded aluminum heat sink minimizes LED temperature for longer service life. Available in four housings types (Non-IC, IC/CCEA, Remodel and 2-inch Shallow), as well as accommodating ceiling types up to 2-inches without any light loss between ceiling thicknesses. The luminaire is adjustable up to 40 degrees in the 4-inch fixture. Perforated mud ring for trimless applications allows installers to create seamless ceilings with a knife edge finish. Use this handy Acrobat calculator tool to create custom Acrobat downlights for your project. 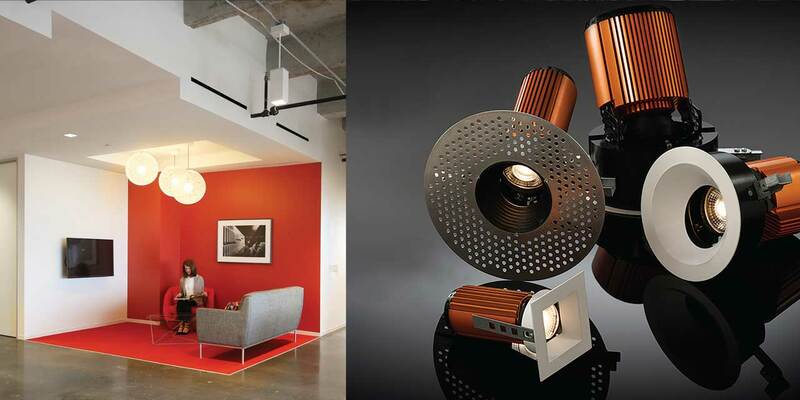 Get in touch with Neel Lighting & Controls to plan to an Acrobat downlight installation for your next project. For more information contact David Neel at Neel Lighting & Controls, Inc. David@neellighting.com or call (805) 298-0852.